If you grew up in the South and your family ate ramps or who went to ramp festivals then this recipe should bring back some nice memories. Don’t stress about the fat grams – the ramps will burn them off – we think? Now this recipe serves four, so you might have to made some portion adjustments, unless you can trick… hmm, I mean invite some friends over for great weekend brunch! 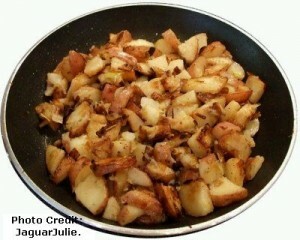 Put chop and place previously fried bacon on top of potatoes and ramps; let simmer for about 2 minutes. 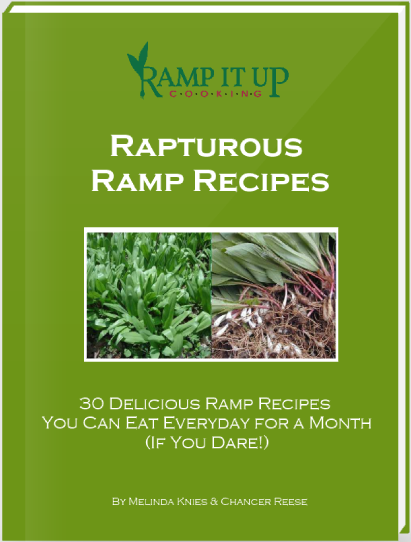 Do you love ramps, but have run out? > Order Your Dried Ramp Seasonings Here!